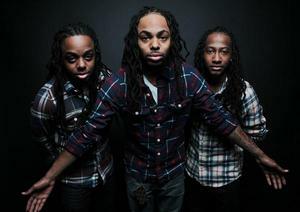 Hailing from Brooklyn New York, 3 brothers led by their father Courtney Panton Sr, who also plays bass on stage with the group call themselves "NEW KINGSTON". Together they incorporate R&B, Hip-Hop and Jazz with their heritage genre Reggae to form their sound. Formed in 2006 in the basement of their Brooklyn home they have performed to other basements and backyards around town to clubs to stadiums worldwide. In support of releasing their sophomore album 'Kingston University' released FEB 2013, New Kingston serves as main support for The Green from Hawaii on their West Coast Liars & Lovers Final Chapter Tour! But before heading home they stop off in Austin, TX for SXSW to play the Flamingo Cantina! With more to come supporting SOJA, Cris Cab & Collie Buddz, New Kingston is on a non stop touring rampage to spread Reggae and Love across the world!